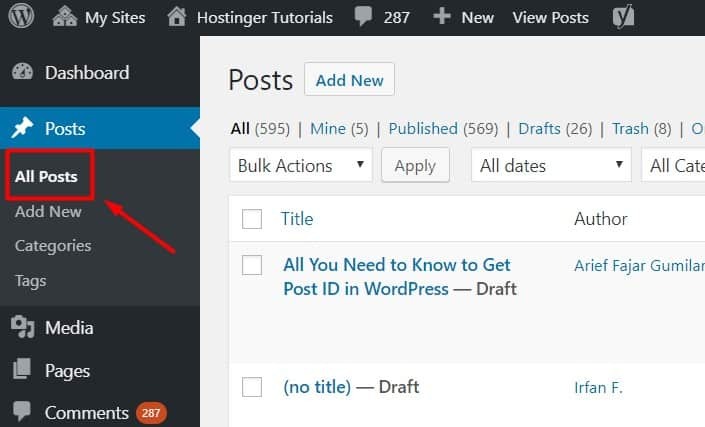 The post ID is a unique number generated by the WordPress system to help you to identify each post on a website. Knowing how to find out the post IDs on WordPress is very important if you want to manage your website better. What Can We Do with a Post ID? 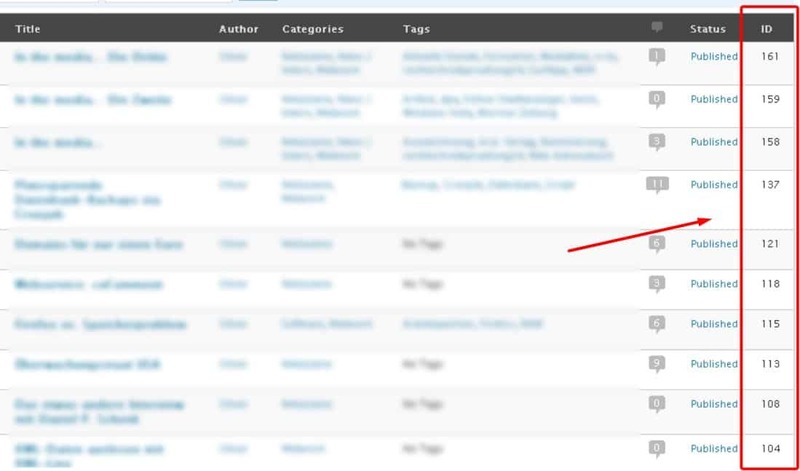 How to Find a Post ID in WordPress? The post ID is an essential element in configuring your WordPress plugins. By knowing the ID number of each post, you can make certain exceptions or give certain orders to a post without interrupting the other content of your website. Finding the WordPress post ID on your website is very easy. 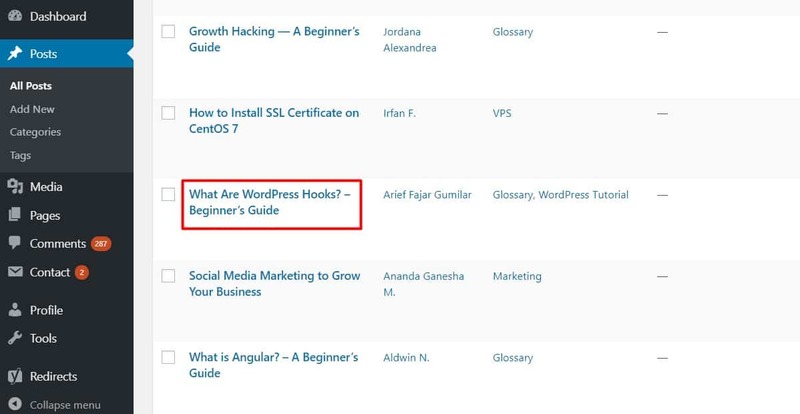 However, many WordPress users still struggling to find these numbers. Basically, there are two ways to identify the ID: manually or using a plugin. First, go to the WP admin page. 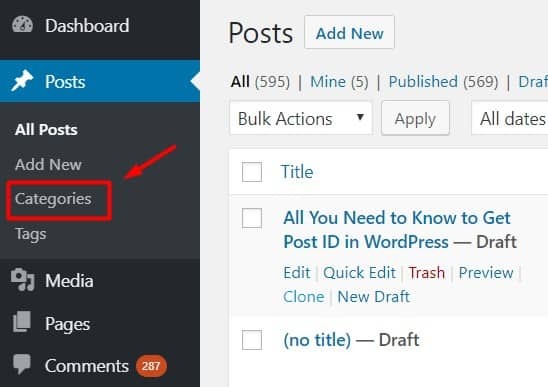 In the WordPress dashboard, you should be able to see all of your posts. If you don’t, click on all posts. Choose the post that you wish to identify. In this case, we’re choosing a post titled “What Is React & How Does It Actually Work?”. Don’t click on the post, instead, just hover over the post’s title and the post ID will be visible on the left down corner of your screen. However, if by any chance you intend to edit your post and find the post ID at the same time, or want to copy the ID, you can click on the title of the post. You will be directed to your post’s edit page. Pay attention to the URL bar. The post ID is always placed between “post =” and “&”. Remember that the post ID is only the numbers, you do not need to attach other parts of the snippet (such as “post=” or “&action”). Aside from the post ID, there are other IDs in WordPress that might help to optimize your site or plugins, such as tag, category, and page. First, click on the Post > Categories menu on the left. Now, hover the mouse over one of the desired names on the list of categories, the URL address will appear next to the lower right corner. The category ID always appears between “tag_ID=” and “&post”. You can also find the category ID by clicking on one specific category. In the edit page, take a look at your URL bar, the ID should be positioned between “tag_ID=” and “&post”. Some WordPress plugins can help you find all items that contain special IDs, including tags, categories, posts, and pages. These plugins are very useful if you want to sort or search for multiple IDs from different posts. This is an open source plugin developed by YYDevelopment – a well-known web developer for WordPress. This plugin enables users to view WordPress IDs such as post ID, pages ID, image ID, comment ID, and category ID. All of those IDs are visible in the WordPress admin area. Another great plugin to find WordPress IDs is Reveal ID. It has similar features to Show Pages ID, however, this was developed by the WP community. It has multiple language support as well as a sortable columns feature for WordPress 3.1 or higher. If you love to play around with codes and functions, Reveal ID might suit your style. 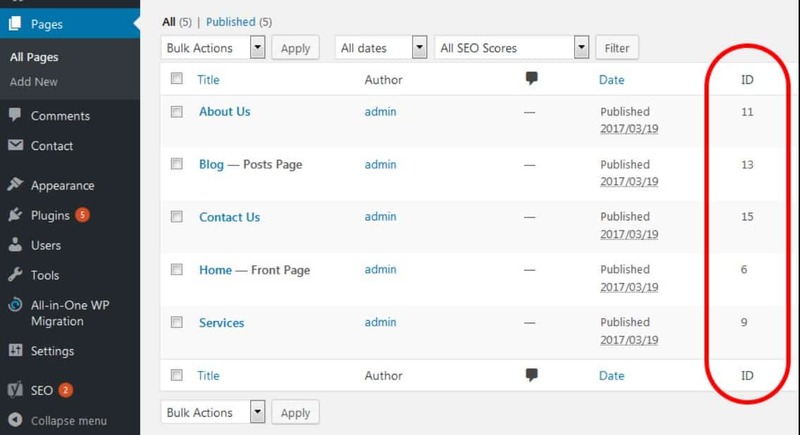 Furthermore, you can also modify the columns on your WP admin area to create a custom function. However, unless you have ample experience in editing the functions.php file, we strongly recommend you to use WordPress plugins instead. Not all WordPress users need to use WordPress IDs when managing content. However, knowing how to identify is beneficial if you ever need to customize, categorize, or arrange multiple posts. Finally, we hope that this article could help you to understand how to find WordPress post ID. Let us know if you have any questions regarding this topic. Arief is a passionate digital content writer for Hostinger International and full-time SEO enthusiast. He enjoys writing as much as listening to Ed Sheeran old albums and EPs. Follow him on Twitter @agoomilar to find out his latest lame jokes and puns.